I will command you to be open, says the LORD. Yes, I Am opening you up. You have felt closed. You have felt stagnant. You have felt that nothing is moving, nothing is changing, nothing is coming in and nothing is going out. You have felt trapped in your circumstances, trapped in your vision that is not making progress, trapped in gifts that cannot be used or produce anything and trapped in who you are and what your have to give and what you are to be that is going no where. Nothing seems to be changing and nothing seems to be producing and nothing is flowing at all. You are crying out for change. There is a deep rumbling within. You are about to burst forth, says the LORD. 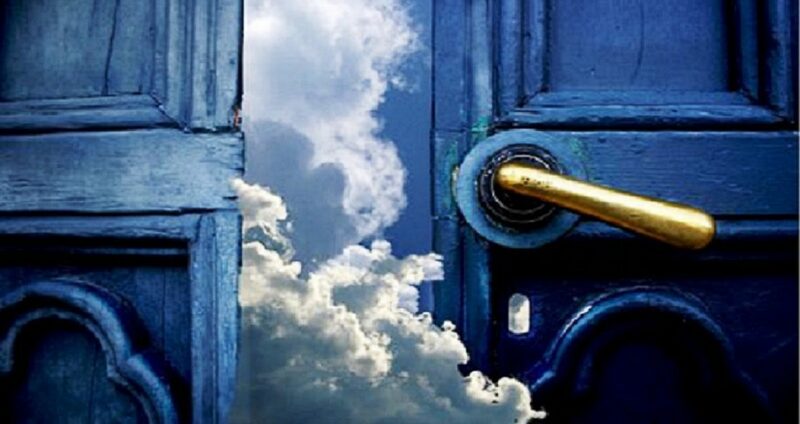 Instead of a mere open door, I will cause you to be open so that what has been dormant and deep within will be able to flow out of you, says the LORD. You will be productive as it springs forth from you. Your vision that has been buried in the dark corners of your heart and life will come to light. Your hopes that were past the point of possibility will suddenly come to life. That which has been silent will be given voice. You will be open for the new to flow in and there will be a springing forth of that you have so longed for. The outflow will not be purposeless as it spills out of you. Your labors are not in vain in Me. They will produce and My words that I place in you will not fall on empty wastelands. You will be a well of wealth that will spew out of you that will produce the richness that I have created you for, and the fertile soil will be seeded, blossom, develop and mature into a bountiful harvest, says the LORD. Thank you Jesus,right on words. Amen! I receive it! Thank you! June, The Father has seen my heart and the cry and longing for the new…..Amen and Praise God for a new day has come. So EXCITED!!!!! Amen.. I receive it..in the mighty name of Jesus. Yes, I receive this word June Sheltrown Reinke. It’s a right word for me. I claim it as my own personal prophetic word. Amen! Yes Lord, open me up pls. Amen! Waiting on my Lord Jesus!!!!! Thank you Lord! This is exactly what I seem to be experiencing and I’m not putting attention to what I see and feel though it is tempting because of such weariness, dryness and dullness – all what is expressed here – and I put my trust in the lord. Some days it just seems like never, impossible and that I’ll just pass through this life the way it is (I couldn’t handle that!) and it causes me to ask what should I do??!!!!!!! The only thing I can do is thank Him and praise Him. When you’re trapped – like in prison – it’s al, you can do and all that’s required!!!!!!! Thank you for this word!!!!! appreciative to say it is now happening to me. Glory, unto you Abba, I love you.